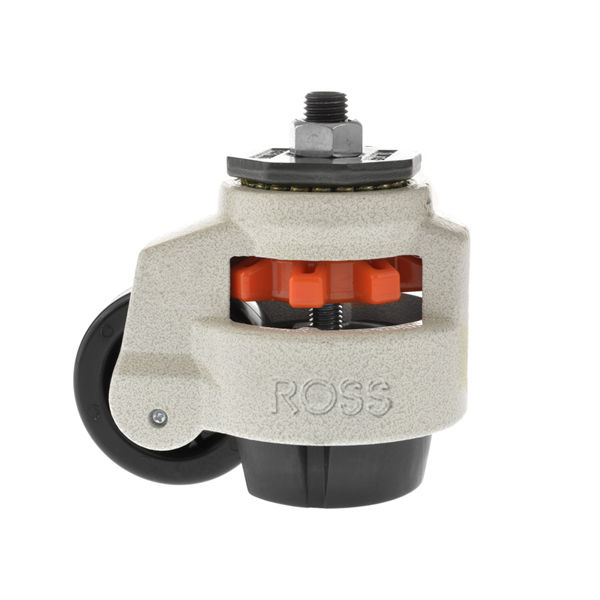 RHD Series Heavy Duty Footmaster Castor with a Stem Fitting is a multifunctional levelling castor. These footmaster castors are ideal for moving heavy equipment and machinery, and positioning on the integral anti vibration rubber pads. With easy adjustment by handwheel or hex spanner, these handy levelling castors are small and discrete but strong and durable and able to carry dynamic loads up to 1500kg each.